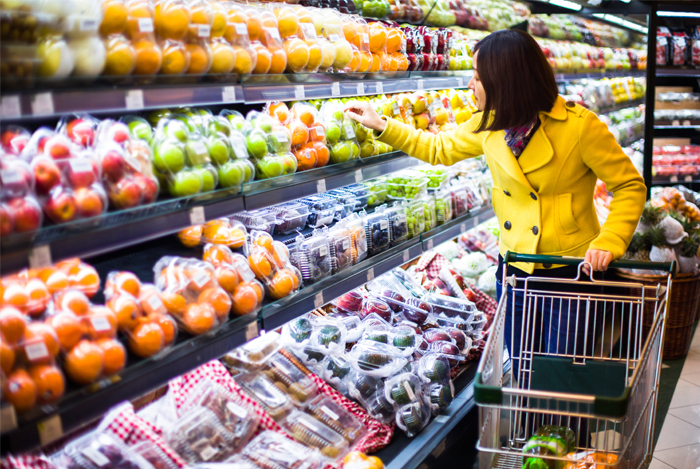 Blog » Diabetes » Eating Healthy With Diabetes: Free Grocery Store Tours Nationwide! 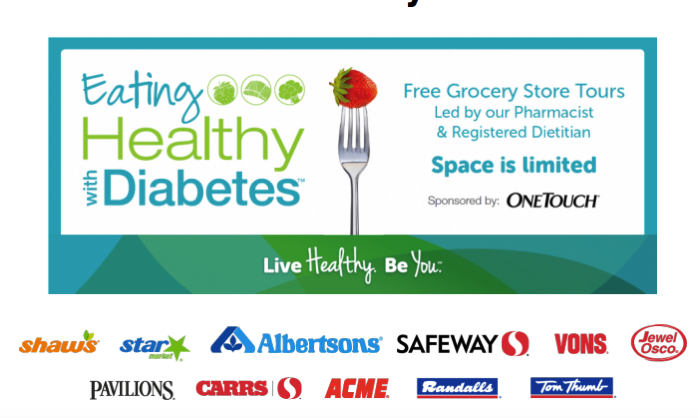 Eating Healthy With Diabetes: Free Grocery Store Tours Nationwide! Type 2 Diabetes is at an all-time high, not just in adults…but children as well. In fact, toddlers are now being diagnosed with diabetes. This leaves many individuals and families scrambling for information on how to take care of themselves and/or family members. To live with diabetes successfully and healthfully, knowledge is crucial. But we have tips and tricks to help you and yours live with type 2 diabetes easily and effortlessly! The good news is that we now have quality information from people who really care about your diabetes and how that translates to a healthier quality life. I’m very excited to let you know that major grocery store chains across our nation are joining forces to help you and yours live better, easier and healthier. Type 2 Diabetes is a condition that occurs when the body is no longer able to deal with the increasing level of glucose (sugar) in the blood. Normally when we eat food, in particular carbohydrates (starches and sugars) the level of sugar in our blood increases. In response to this the pancreas produces insulin, which brings the level of sugar back to normal. In a person with Type 2 Diabetes, the body may not produce enough insulin or the insulin produced may not work as effectively as it should. Many people believe they are eating properly and not just those with diabetes. For example, whole wheat bread is considered an exemplary choice for health to manage diabetes well. The serious outcome of eating whole wheat bread is that it can raise blood sugar levels as much as two tablespoons of sugar. That is unhealthy for everyone. 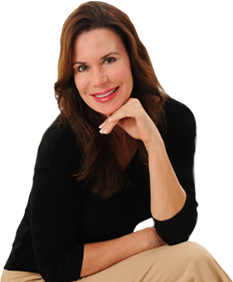 Once you have the correct information about the exact foods that are going to help create optimal health and help reverse diabetes, you will be on the road to living life with more freedom. Now you can stop asking yourself “What can I eat or serve my family?” Living with diabetes doesn’t mean you have to feel deprived. It is simply knowing which foods will make the healthiest choices and meals. Once you know specifically what to do, you’ll relax and enjoy even more delicious variety to your diet. This is the foundation to your success: knowledge. A great way to get started is to sign up for the “Eating Healthy with Diabetes” grocery store tour to jump start you or your family’s optimal health and quality of life.